Look no more.... all brick home with updated vinyl windows. Spacious living room with original woodwork, all brick wood burning fireplace and hardwood floors with a sun room right off the living room. Separate dining room which also has hardwood floors. Kitchen has updated wood cabinets and all appliances stay. Both bedrooms are a nice size with hardwood floors. In the lower level, there are 2 bonus rooms that could be used for numerous things as well as a family room. Lower level has a 2nd bathroom. here is also a large laundry room and separate storage room. ALL the carpet in the house was installed in March 2019. Inside of the house has a fresh coat of paint through out. Sitting on a Large corner lot with patio in the back for entertaining. 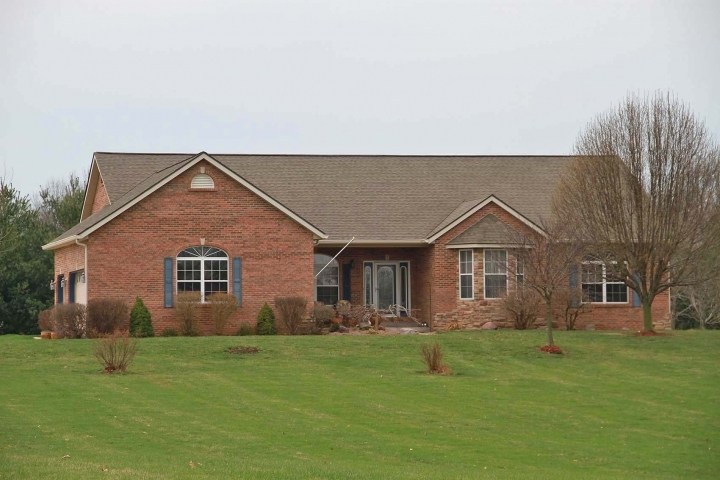 Well maintained home on almost an acre of land. 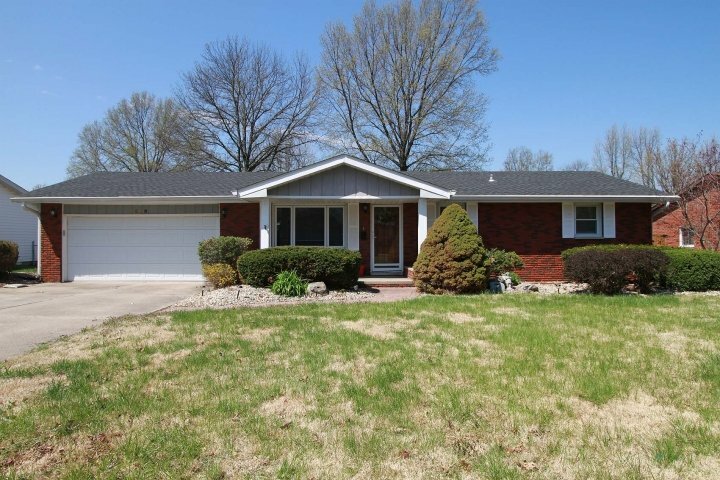 Welcome home to this 3 bedroom/2 bath home with a detached 2 car garage. Beautiful hardwood floors along with cove moldings are some of the great features. Large eat-in kitchen with parquet flooring. Dining area has patio doors that lead to the spacious private back yard. Main floor laundry. Lower level is partially finished with a built in bar. Plenty of storage and additional laundry hook ups in basement. Garage is 2 plus car detached with room for a work bench. Conveniently located, close to highways and shopping. Move in ready, has already passed city occupancy. Professional pictures to be posted shortly. This hidden gem is nestled on 1.63 acres backing to woods filled with wildlife for your viewing enjoyment. You will fall in love with the serenity found in this unique property. Smell the warm crackling fire burning in the fireplace on those cold winter nights as you nestle up to those you love or a good book. As you enter there is an open living room/dining room combo surrounded by knotty pine walls with 13 foot vaulted ceilings that lead to the loft overlooking the cozy lower level. The privacy to your bedrooms is separated by wooden swing doors. Beautiful wood floors flowing throughout. Main floor Master suite with separate entrance off the back deck. The spacious basement is unfinished ready to add your finishing touches. See the property information sheet with all the new updates and amenities. The water lines are shared between this home and the neighboring east property. Neighbor pays the water bill. Seller in turn pays the trash. 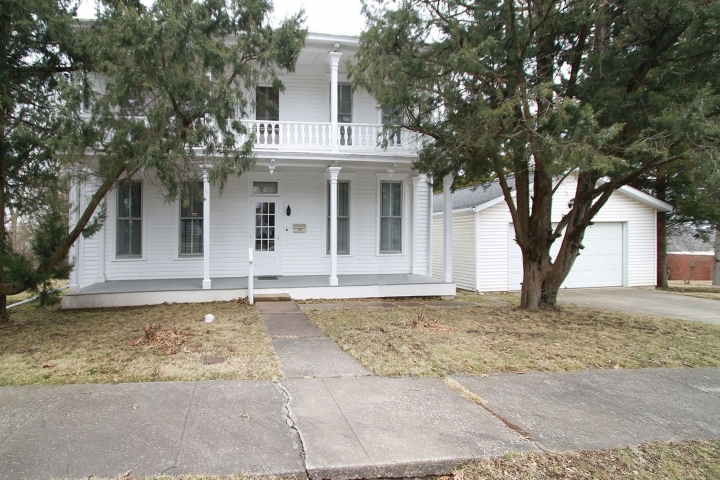 Gorgeous 1800's colonial plantation home converted into a two story duplex investment property. Just waiting for you to purchase. Meticulously cared for newer updates throughout. Hardwood floors under carpets, 10 ft. ceilings, 3 bedrooms & 2 baths, living room, dining room, kitchen, laundry area on the main. Upper level includes sitting room, living room, dining room, kitchen, and bath. Balcony overlooking historical town of Lebanon and screened in porch side entry. Detached 2 car garage built in 1985 situated on 3 large lots. 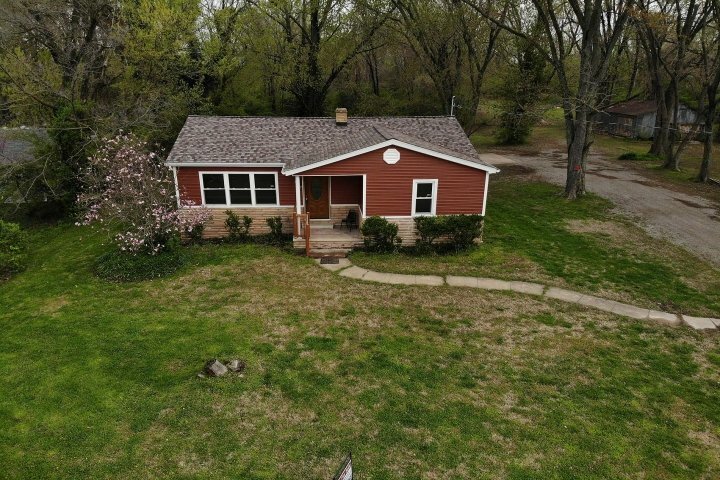 Centrally located within minutes to Scott Air Force Base, McKendree College, Schools, Shopping, & Airport! Homeowner & other family members currently occupying the property. Relocating makes this opportunity affordable and available for you today! Fantastic 3 bedroom 2 bath home on a wooded lot in the Meadows on Hartman Lane. This pristine property offers ample storage and room to grow in the unfinished basement with walkout. The owners will enjoy an open layout with vaulted ceilings in the great room and Master bedroom. Chef�s kitchen with Corian countertops and Porcelain tile floors. A large deck overlooks the private backyard, enjoy the hot tub in seclusion. This property is priced to sell and is near all the amenities O�Fallon has to offer. Absolutely exquisite Topping home in the heart of Alton. 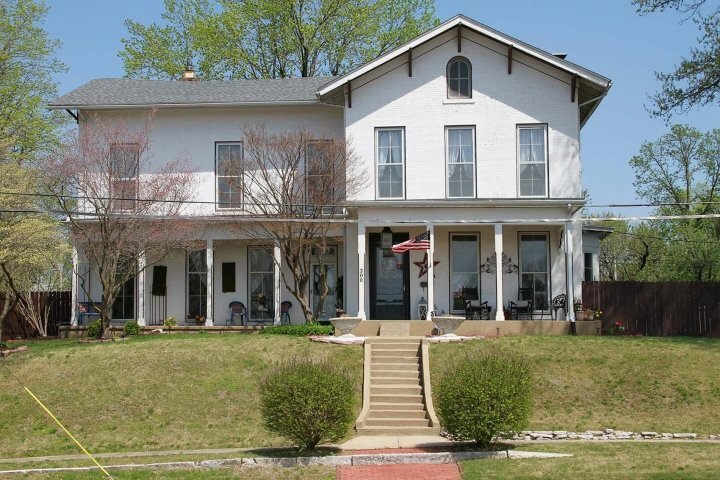 Centrally located within minutes of downtown St. Louis near Haskell Park, the Alton Marina, Alton amphitheater, dining, shopping, "The Great River Roads," and so much more. 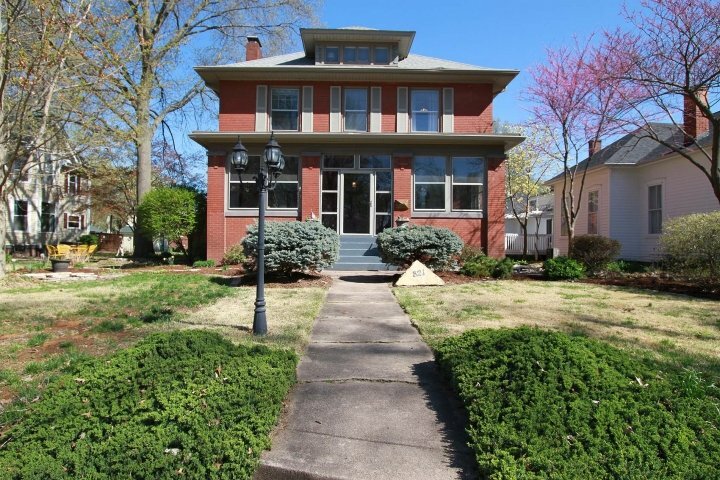 Nestled on a corner lot, this Altonas Historic district home in Middletown, has been updated with the charm and characteristics of the historical time period. What was once an 1851 2 story built home with brick cellar is now a 2.5 story Colonial charmer. Historical data is available for viewing from the Sellers. Gorgeous original hardwoods run throughout the home. 9 ft windows bring in natural light though out this stunning masterpiece. All plaster cornices around light fixtures and 12 in. baseboards still in tact. Large Galley kitchen with breakfast room just off Formal dining and hearth room. 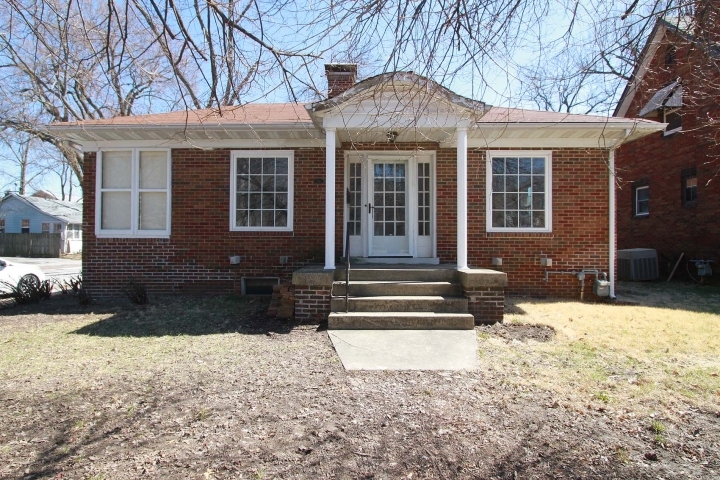 This charming home boasts 4 bedrooms and 3 baths. For full details view the Attachment files. Delight and entice all the sensations upon entering into this sprawling gorgeous 5400+ square foot home nestled on 3+ acres. Upon entry you will find a very open and flowing floor plan. Formal sitting room on right/can be made into a 5th bedroom. Formal dining room just left of foyer entry (other) on MLS. Marble flooring that looks like wood. Vaulted ceilings in Great room. Wood accents throughout. Breakfast nook, center island in kitchen. Main floor laundry/Mud room just off 3 car garage. Relax on Covered patio and tree lined back yard. Lower level boasts a Family/Rec room, two additional bedrooms/office, media room, and gym. The second fireplace is also located on the lower level. Home is situated on back of lot cornered at Prairieview and Hartman Lane. Centrally located within minutes of Scott Air Force Base, McKendree University, Shopping, & Dining.